Managing Shareholder Charles A. Scarminach is among a handful of pioneers who helped shape modern-day Hilton Head Island. His understanding of the local market, its history and its future, makes him a vital resource for any company or individual wishing to do business in Beaufort County. Mr. Scarminach's practice area is in corporate and business law and, in addition, has an extensive practice in the area of real estate transactions, community development and land use covenant law. Born and raised in Syracuse, New York, Mr. Scarminach attended University of Buffalo and Syracuse University College of Law before joining the U.S. Armed Forces. After serving in the judge Advocate General Corps of the U.S. Army, Mr. Scarminach moved to Hilton Head in 1973 to join the legal staff of Sea Pines Company, then the largest resort development company in the world. Mr. Scarminach ultimately became the Company's General Counsel and was involved in the planning and development of Sea Pines Company's numerous resort communities on the East Coast, including the world-famous Sea Pines Plantation and Resort. His work with Sea Pines Company involved all aspects of land development, from negotiating contracts with builders to securing loan agreements, to handling the company's SEC filings after the company went public in 1973. 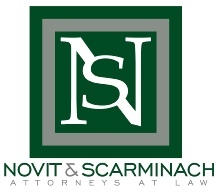 Mr. Scarminach left Sea Pines Company in 1978 to enter private practice as sole practitioner with his own law firm, which he continued until joined by Mr. Novit in 1983. In 1985, Mr. Scarminach received an Award for Excellence from the prestigious Urban Land Institute for his contribution to the development of Sea Pines Plantation. He served as Chairman of the Board of Hilton Head Preparatory School from 1984 to 1993 and has been on the Board of Directors of the Hilton Head Island Chamber of Commerce and the Greater Island Committee. He is currently a member of the Board of Directors of the Community Foundation of the Low Country. He is also active in youth sports, coaching soccer, football, and baseball for many years. 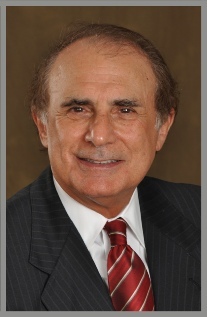 In 1987 Mr. Scarminach was included among the lawyers listed in the 1987 edition of The Best Lawyers in America by Steven Naifeh and Gregory W. Smith.